"...received our box of Travel documents yesterday. Wow, this is fantastic! I thought I've received nice documents before, but Ya’lla Tours has surpassed all! I'm so impressed, happy and super excited. Thank you, Thank you, Thank you! “John Vangrunsven called me and ... I just wanted to share with you things he said to me. He was EXTREMELY complementary of the Ya’lla Egyptian staff. They could not do enough for him. They loved the view of the Pyramids from their hotel room. Service on the ship was excellent, they appreciated the upgrade by moving them to the other ship. The Ya’lla itinerary included everything they wanted to do and see. Had dinner with the Ya’lla contact last evening and he was a wonderful host. They couldn’t say enough about the quality of the trip. They think I’m a star, so thank you very, very much!" “…..I can't believe it's been a week already that I've been back from Israel! I'd like to thank Ya'lla Tours, for the incredible experience! This was more than just a "trip" for me; it was an experience of a lifetime. Thank you from the bottom of my heart for creating a memory that will forever warm my heart. I learned so very much, experienced the culture, was rededicated in the Jordan….visiting sights that Jesus saw and walked moved me so deeply, floating in the dead sea-what a gas that was, going to the Holocaust museum was very sobering, and all of the other sites are burned in my memory…. I've already spoken with many friends and family members about my trip. They are amazed at the pictures that I posted to FB, and all that I talk about to them about everything that I experienced, and saw. Everyone asks, "did you feel safe", I answer with a resounding "YES, VERY"!! When I requested to join the Israel trip, never in my wildest dreams did I realize the profoundly moving affect that this trip would have on me! I remember you fondly and thank you for nourishing that seed of me escorting tours as it opened up vast experiences for me." "... Morocco was amazing!! ... Our driver, Ahmed was a wealth of information and surprisingly, a source of comfort-he was always on the distance waiting!! The guides in each city were a wealth of information, especially Moolay in Marrakech! Surprisingly, the coolest city, was unfortunately where we spent the least amount of time-Chechaouen. I wish we had at least 24 hours. Also, the riads that I was so concerned about were perfect. We were the only ones staying at the one in Marrakech. The chef, with moolay’s translation, asked about the types of food we liked, went to market and prepared us a fabulous meal which we ate in front of a fire in a private dining room! "Susan Sanders suggested I contact you about our recent trip to Jordan, Israel, and Athens organized by Ya'lla Tours. In a word, it was fantastic and without a doubt one of the most interesting, educational, and impressive vacations we have taken. 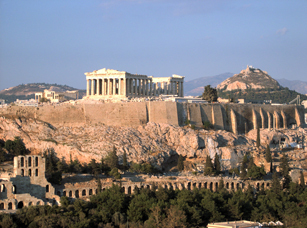 The accommodations were wonderful, the locations we visited stunning, and (with one small hitch in Athens that was handled very nicely by the local office) the transfers were extremely helpful and smooth. But above all we were impressed with the guides we had throughout. Each was interesting, informative, engaging, and made the trip so special. We are particular fans of Ahmed, our Jordanian guide. He gave us a very different, local perspective on many of the issues facing that part of the world, not to mention an education in the history and culture of the land. He and our driver, Jihad, were quite the pair and sometimes played off of each other. We felt that we had made new friends by the time we parted. Zvika in Jerusalem was equally well informed and entertaining. His stories were wonderful and his knowledge of the history, architecture, and literature that informs so much of the region was impressive. Getting his perspective not just on the particular issues in Israel but some of the broader regional issues we had also discussed with Ahmed was enlightening. We felt that both guides were completely candid with us and more than willing to answer questions. We truly loved Charis, our Athens guide and felt that we spent way too little time with her. She made the Acropolis and the new museum come alive and gave us an wonderful perspective on Greek history and culture during the Golden Age. The next day we visited the Archaeological Museum on our own and were amazed by how much better we appreciated much of the art based on what we had learned during our tour. We generally travel independently so this was the first time an entire trip was organized and guided for us. In that part of the world and for the places we visited, I could not imagine a better approach. Thank you again for putting it together, and for accommodating our last-minute change to Athens. We are already talking about a return to Greece and if so will certainly want to talk with you about planning some or all of that trip, even if only to recommend the best islands and beaches!" "Thank you so much for your help in booking the Saunders to Cuba. We just heard from them and they LOVED their trip, They said their driver and guides were '"unbelievable and liked that they never left them alone."' They said the Melia Habana Level is the '"only place to stay."' They said they enjoyed the trip immensely and very much enjoyed the educational cultural element. They said some of the restaurants were excellent and some were not as good as they could have been. But, overall, a resounding success! An '"A"' they said." 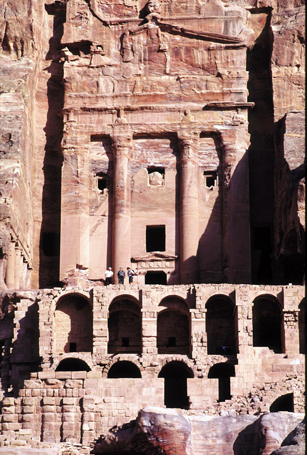 "We have just returned from Jordan, and were very pleased with the organization of the trip, and the entire tour. Our guide was excellent, and was very flexible, as our trip to the Dead Sea had to be cancelled due to an Arab Summit in Amman, but he rearranged and rescheduled our itinerary to include it. He also spent extra time with us on our free afternoons, and took us to places which we had wanted to visit, but which were not on the itinerary. From the moment we were met at the airport, everything seemed to flow flawlessly. The hotels were great, and transportation was also excellent. We ended up being only ourselves for two days and an additional two other women for the rest of the trip, so it was truly almost a private tour. We would just like to thank you for enabling us to enjoy this wonderful country, and for providing us with a very professional and enriching experience. We would definitely recommend your agency to anyone who is interested in going to Jordan, and can only have the highest praise for our wonderful guide, our driver and all the other persons involved in our transfer and journey. A wonderful country, a wonderful experience." "We are writing express our appreciation for our wonderful trip to Morocco. 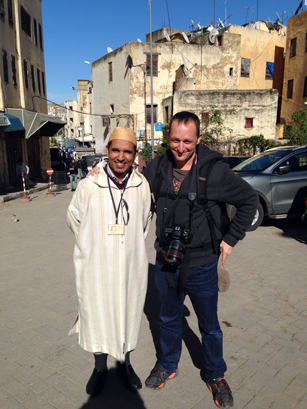 Our guide Moulay Hachem El Bissouri was simply the best and truly worked hard to ensure we had a great experience. He was patient with us and is incredibly knowledgeable….. The local Moroccan contact Najla Dardari was also very sweet and helpful the few times we spoke. We will highly recommend Yalla Tours to all our friends and family. Thank you for all your work!" "Fred was the BEST tour guide I’ve ever had! 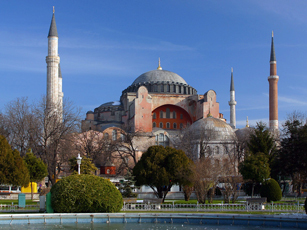 And he had LOTS of patience with the TA group… The places we visited in Turkey hit the mark for historical sites. I felt very safe, people were friendly, lots of security present. Great food, clean restrooms and lots of variety. The buses were clean and comfortable. Thanks so much for a trip of a lifetime." "I just wanted to tell you that the trip to Turkey was absolutely fantastic. Dale and I both enjoyed it immensely. Thank you so much for making it possible, and seeing to it that every element of it was well-planned and perfect. Fred was a wonderful guide... truly spoke from his heart, and fit all the categories that you had laid out for a perfect guide. And of course, the guide always makes or breaks the experience, and he certainly made it both educational, and enjoyable. You truly do manage to find the best people for your tasks at hand!" "I could not wait until our arrival back in California so I am sending you a short e-mail while still aboard Oceania's Nautica. Yesterday, we were in the beautiful country of Jordan to experience visiting Petra. Our travel agent Marilyn, owner of Willow Glen Travel, arranged our sightseeing with your company YA'LLA tours USA. I just want to tell you how pleased we were with the guide that was sent to us, Ahmad al Khald, and we could not have been more pleased with the opportunity to have a man that was so outgoing and had a command of being able to tell us the story of Petra. We left Jordan with the feeling of being so warmly welcomed and informed. Thank you YA'LLA tours for a great experience." "I wanted to give you feedback about our trip to Israel, Jordan and Egypt. I have done extensive traveling and this trip was the absolute best. It was flawless... Your guides cannot be better. All of them. The accommodations were exceptional especially in Egypt and we loved being at the Inbal in Jerusalem with access to their guest meals on the 9th floor. If I go to any of your other locations, I will definitely use only you in that your services were the best. Thank you for a trip of a lifetime." "We were particularly pleased and impressed by the high degree of expertise and experience of Boaz Cohen (guide). He made the bulk of our trip very meaningful by his deep understanding of country and culture. He kept us on track with concern for our comfort and physical limitations." "Thank you, again, for the wonderful trip to Cuba!. It was such an incredible opportunity for me. My head is still swimming with all of the images and information. It truly was a memorable trip." "…I left my Ya'lla bag behind with donations. LOVED the idea of bringing such critically needed items to Cuba... This tour was amazing, exceeding my expectations and renewing my determination to recommend Cuba - and Ya'lla Tours! LOVED Ari the guide - she is awesome! Comfortable bus, amazing lodging, and oh, my, what great experiences. I could write pages, waxing very eloquent on the quality of this adventure, but the bottom line is: SUPERLATIVE and THANK you for the opportunity! SO glad to have done this! THANK YOU! Ya'lla Tours is definitely at the top of my list of preferred vendors! STUNNING!" “Thank you very much for your prompt, professional, and friendly service in organizing this Greek trip! We were met and transferred at every point seamlessly. Your contacts in Greece were all exceptional. The hotels you booked were great, exact to our specs. Glad you booked our ferries from island to island, giving us a hassle free vacation. The ferries were wonderful! Booking the Saronic day tour from Athens and Delos tour from Mykonos ahead of time with your Greek reps was the way to go! The 3 island Saronic cruise was really very nice with an extraordinary buffet lunch on board! Loved the first island of Hydra...simply charming. 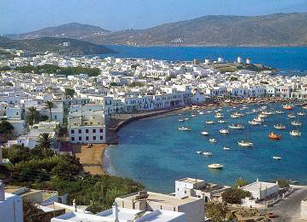 The Mykonos rep Gabriella was fabulous!...extremely friendly, helpful, efficient when a glitch came up...and always made sure we were taken care of.. In getting a rental car, island tutorial, prompt pick up and drop offs, etc. Despina, the owner of the bed and breakfast we stayed at in Naxos and our rep on the island, was absolutely wonderful... Again gave us a tutorial of the island. She could rule the world! She always made sure our every need was met. Really enjoyed her a lot!!! Christopher, our rep in Santorini was great too...gave us all info about island and was very helpful at airport upon leaving the island." “…..The Cuba trip was excellent in every aspect. The hotel was outstanding – service, location, facility (cigar bar especially enjoyable!) The agenda allowed us to see so much of Havana. Restaurants were all notable, especially Habanera, the paladar we went to on our last night. I give special props to Rosie, our tour guide, and the driver, Castillo. Rosie was knowledgeable, personable, and very accommodating. Jim wasn’t feeling well on the last day of our trip, and Rosie’s flexibility allowed him to get some rest while still getting much of the agenda in. "The trip [to Israel] was nothing short of magnificent! It was a perfect combination of superficial fun (shopping, eating, etc. ), outdoor adventure (caves), and most impressively 2000+ year-old culture! We learned so much from the private guide and truly had a unique and magnificent experience. Thank you so much for all that you did to help make this a reality for us!! Honestly, I cannot thank you enough. The trip was amazing. The private guide was knowledgeable and flexible to make changes on the fly. He was great with the kids and he made the experience far more than it ever could have been without him. The shopping area in the old city of Jerusalem was my favorite part. The air is just thick with culture as you move from the Muslim quarter to the Jewish quarter to the Armenian, and then the Christian. People are walking around in all sorts of religious garb and it is just an amazing place to see. I, of course, had the time of my life bargaining for jewelry and eating my way from one end to the other. The Bedouin experience and camel riding was a favorite for the kids…. This was all while we dined on a meal that would blow your mind. The underground ammunition factory was 1000 times better than I ever thought it would be – it was a can’t miss experience. The girls, who are young and not into history, were so blown away but this group of teenagers that risked their lives in this place for years, that they list it as one of their favorite parts of the trip. I could just go on and on. Each day was unique and exceptional. We had time on our own to shop and explore and time to get in some of the things we really wanted to do. Oh… and I brought back so many awesome products from the Dead Sea that I expect I will look 30 again by my next vacation. Thanks again so much!!! " 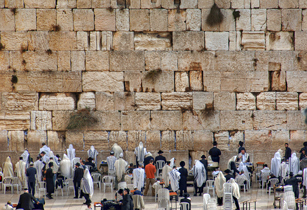 "My clients Ed and Kathy Krafchow are home safely and are so happy with their trip [to Israel]. Their guide made the experience memorable. This is what you do so well Ronen, thank you. Yes, you are the best! You always will have my business for sure." Ya'lla did an amazing job of creating an itinerary that allowed for flexibility. The pace was perfect and allowed us time on our own… The Melia Cohiba is beautiful. While I am very appreciative of our stay at the Hotel Presidente last June, I would definitely chose the Melia Cohiba again. "".... If people want to go and still experience an old Cuba - now is the time. All four of us agree that 7 and 10 days is a waste of time. Go for 14, see it from Havana to Baracoa. It is tough, but anything less is just a waste of time and money. What you provided is the only way to go. And every trip I looked at had first and last in Miami, and that is cheating the traveler. One needs to see it all, to trust that they can walk wherever they want, talk about anything they want, and be safe. And dress CASUAL, as you said. The itinerary itself was fabulous. Mandy (our guide) and Santiago (the driver) were a delight. We had very honest discussions, and some of the funniest laughs I have ever enjoyed on a trip." 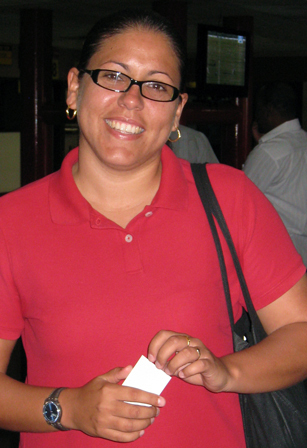 "... just a note to let you know how much me were impressed with Mariana Tamayo on our Cuba trip Feb 21-25. She was very informative, knowledgeable and fun. She's a great asset to your team in my opinion. There were only the three of us in our group... Glad it was just us because we have been on many tours with 20-30 people all over the world and decided 5 years ago that private tours were worth the extra money for us. We enjoyed your country and people very much. I tell all I talk to that they should visit CUBA!!" "Our trip was amazing and Ya’lla Tours USA was the best experience we have ever had in travel! Our guides were the best. Top notch service from start to finish. "Dubai was amazing!! Thank you Ya'lla Tours!! Everyone was pleased with all Ya'lla personnel. Mohammad (transfers to hotel) and Dana (tour guide) were exceptional! Everyone was excellent!! The highlight of our stay in Dubai was the Desert safari!! It was great! The drivers, camel ride, BBQ and entertainment were enjoyed by all. My driver, Mohammed was excellent, pleasant, personable, professional and safety conscious. When I return to Dubai I definitely will request Mohammed to be my driver." "I am writing this to thank you so much for taking such good card of my client on her recent trip to Dubai and Jordan. She had nothing but great things to say about all of her drivers and guides. They all went above and beyond! She was specifically impressed that you made the effort to keep her informed of the different weather issues that would have spoiled a large portion of her trip. There was a storm coming in and she was contacted and with her permission the trip was rearranged to avoid this storm. If this had not been done, she would have missed a great deal of her trip. She was also impressed that Ya’lla was concerned not only of her safety but of the safety of your staff. She was dropped off at the airport for her trip home earlier than normal due to icy conditions. She was treated to dinner to compensate for the early arrival at the airport which she didn’t expect. She is very appreciative of how she was treated and the fact that Ya’lla made extra efforts to make sure that she got to see the majority of her itinerary even though the weather did not cooperate." "We are having an amazing trip to Cuba. Thank you so much for organizing this great trip for us, our guide and driver have been amazingly wonderful. We have enjoyed this adventure so much. Spirited and knowledgeable. Lots of music and song. Great explanations of the history of Cuba. Wonderful rural scenes of horses, wagons, carts and Bicycles everywhere in the eastern section of Cuba." “Thank you very much for preparing such a fabulous trip to the Holy Land for the 4th Blood Moon tour with Pastors Larry & Tiz. It was a phenomenal experience and done in excellence. “I want to thank you for helping to organize the most phenomenal trip of my lifetime. Our guide Rashid was for me pure "manna from heaven"! Traveling can be so stressful and Rashid made EVERYTHING run smooth and took the complications of travel into his hands and we benefited completely because of his abilities and capabilities Rashid is a library of knowledge and facts which I thoroughly enjoyed as he wove these threads into our trip bringing out the beauty that is Morocco. Rashid went above and beyond any guide I have ever encountered. I can't thank you enough for sending this incredible "Gem" our way! 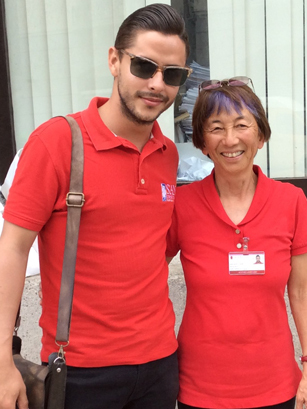 This trip will forever be in my heart and soul thanks to Rachid who made it seamless." “As we prepare for our final 8 hours in Morocco, I just wanted to write and say thank you for arranging such a terrific collection of drivers and guides for our stay in Morocco. When environmental circumstances (rock slide between the Atlas Mountains and Marrakech) created delays and missed connections, you were completely flexible and accommodating. Our travel agent, Mary Marlowe of Journeys, first set us up with your company in 1998 with a trip to Israel... We enjoyed the highlights of Israel including the Dead Sea and Masada with our, then, 8 year old son. We traveled with Ya'lla to Turkey a few years ago and now Morocco. We had such confidence in how seamless the experience would be, we invited friends to join us on our Moroccan adventure...they were so happy with all the arrangements! “…Just a quick note to thank you again for all your assistance on the G…n booking. I got the docs (lovely!! – I especially liked the General Info book with the history of Israel) and when my client picked them up – she too was ‘wowed’ and is SOOO excited. You really made this a dream come true for them. And personally, thank you from me! You made ME look good!! For sure I will use Ya’lla again and so will the other agents in the office! Toda! Danke! Merci beau coup! “This was a fabulous trip made especially wonderful by our guide Mouley and driver Ibrahim. I’d like to travel back to Morocco again with the same guide and driver. “The Ya’lla Tours trip to Cuba was a most memorable experience for me. The people of Cuba are so friendly and hospitable. The culture and history are so fascinating. The Ya’lla tour guide, Alejandro, did an excellent job of conveying and translating all aspects of Cuban life. Our bus driver, Lazaros, was awesome in his ability to navigate tight spaces at times. Also, the accommodations and food were excellent. Cuba is such a vibrant country with art, music and entertainment around every corner. The nostalgia of the mid-century cars was delightful to see. They reflect the ingenious, resourcefulness of the Cubans, who manage to keep them rolling down the roads. I feel so fortunate to have visited Cuba at this pivotal point in time. I would definitely return to this intriguing country and would recommend Ya’lla tours, who have a vast knowledge of Cuba." “....it was definitely the trip of a lifetime. Our tour guide, Zvika, was phenomenal. He made us feel comfortable the whole time and was accommodating to our needs. He gave us a wealth of information about Israel that was, to me, very impressive. I also want to thank you for all you have done for us. You were very thorough with what we should expect on our trip, which took out a lot of the anxiety for me. Thank you again for making my trip unforgettable." “There were 6 of us on this trip - 4 days in Istanbul and 4 days in Athens. The entire trip was a wonderful experience. We cannot say enough about the service we received from Ya'lla. Friends had traveled to Morocco with Ya'lla and highly recommended them - we'll be doing the same." and knowledgeably by Lisa Christensen, a senior reservations agent at Ya’lla. October 2015. I appreciate their destination knowledge and their professionalism." 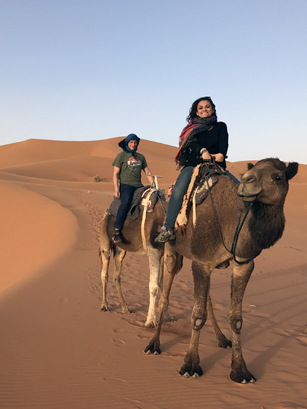 "...Morocco was magical… The guides you provided were great and extremely helpful… The hotel in the Medina, Riad Amina, was perfect and the hosts and people there were exceptionally nice and welcoming..."
"…I want to take this opportunity to thank you sincerely for the trip. It turned out excellent and we had a spiritual experience of a life time. Our itinerary was perfect and our Tour Guide, Leah, couldn't have been better. She was so good that we became good friends. She bonded with all of us quickly, and understood our need. She was extremely helpful, kind and had a great sense of humor. We enjoyed and appreciated her company. Shalom, In His service…"
"Just a quick email to say THANK YOU for making my clients trip a success! The clients just returned and had a wonderful time! He couldn’t stop raving about the promptness of the transfers, the professionalism of the guides and basically said from a-z, everything went wonderfully! He even mentioned that the guide called them when they returned from the flight to Izmir to make sure that they arrived safely back to their hotel. The client was highly impressed. So, I want to say thank you Ya’lla Tours for making my clients trip to Turkey a huge success!!!" "... I had a blast. Wael and his driver were wonderful and so patient and flexible We frolicked all over Jordan and I have never had better and more knowledgeable company... I could not have had a better trip. Very warmest regards to you..."
"I just wanted to give you a very special thank you for all that you did to make our group's tour so special! Everyone had a wonderful time. We found it to be intense, educational, emotional, awesome, and ... exhausting. The hotels were great -- especially the setting of the hotel in Tiberias -- we loved the ambiance of that, and marveled at the beauty of it all. The boat ride on the Sea of Galilee as our first event set the perfect tone for our fabulous tour ahead. There is no doubt that all of our guests have incredible experiences to share with others -- and it can only benefit both Ya’lla Tours USA and us. We truly appreciate having you as a travel partner. There is no doubt -- you left no stone unturned in seeing to it that we had an incredible experience, and for that we will always be grateful. Thank you, again, our friend!" "What an incredible experience! We can’t thank you enough for the opportunity to see the real Cuba." Thank you for taking care of all the details. I was very impressed with the package we received. " "Thank you for organizing a wonderful and memorable tour of Morocco for our group. Your guides, drivers and Yalla’s representatives made the best of the kaleidoscope of contrasts Morocco offers its visitors. The sojourn to Sahara desert was a true highlight of the trip, but Casablanca, Fez, Marrakesh and the Atlas mountains are fantastic. Your arrangements at every step of the way – hotels, restaurants, sightseeing stops and beyond all – your guides, were absolutely superb. Thank you again from our entire group!" We loved being on the Sea of Galilee and the lunch at Nazareth was the best. Such a beautiful country and people. We continue to discuss what we did and it still will take time to sort out the many things we experienced. Communion at the Garden of the Tomb was so special and our guide there was so good…He is a knowledgeable and very kind man. We were privileged to have him. He certainly tried to look after our best interest. We will count him a friend forever." "We had a wonderful time in Cuba, thanks to you…It was a trip none of us will ever forget. We were especially pleased with our guide, Laura Norat. She was amazing. Most of us have traveled extensively, and several of us commented that Laura is the best guide that we have ever had. She was so informative, had a huge grasp of factual information at her fingertips, came up with innovative ways to keep us interested during long bus trips, and was very easy to travel with." "Cuba was everything that you said it would be and much more...From the very beginning...everything was perfect...Since our trip was geared to the Jewish life in Cuba, spending Friday and Saturday with the small congregation in Santiago was truly a "Mitzvah", one that 16 adults will never forget. After leaving Santiago, we flew to Havana, and although, we thought that it could not get any better, it certainly did. Havana is a poor country with some of the happiest people I have ever met. Riding thru the streets of Havana, you could easily imagine how spectacular this country was back in the 1950's. You really feel as if you stepped back in time, and are hoping to see Dezi Arnaz entertaining at the Tropicana. I could go on and on, but truthfully, you have to really experience Cuba on your own. Words just don't do it justice. Tracy, Ronen, Teri...everyone involved in this tour, I thank you for doing a truly professional job. All 16 of us cannot stop raving about this experience. I personally cannot wait to go back." "Would highly recommend Ya’lla Tours USA to others traveling to your destinations. You make traveling so easy, enjoyable and informative. We loved every minute." "Well, it has been a week since we got home from our wonderful trip. I have not stopped talking about it and am excited to read more about the country's history. I can't say enough good things about Ari. She was a real gem as was Abel. She added so much, was so knowledgeable and had a great sense of humor. The pace of the trip was perfect." "Mr. Fisher praised the good people you have working for you in Istanbul, especially Mr. Gencay Ucok…The Celal Sultan Hotel was excellent!!! They enjoyed the roof top dinning and the hotel’s motif… Thanks again for your quick attention to this booking when our travelers were in Turkey. This is why we use Ya’lla!" 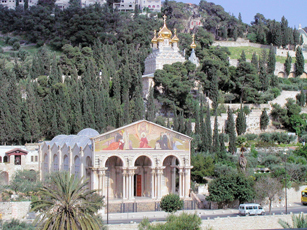 "My dad and I had a great trip to the Holy land in Israel. Barry Fisher from ProTravel Fresno provided outstanding service in coordinating with Ya’lla Tours out of Portland to make this life-experience tour possible. With the special needs service that my father needed, Barry & Ya’lla Tours got us in touch with the appropriate contacts to insure that we were able to see nearly all the sites that were on the itinerary. We thank Barry and ProTravel Fresno for making this trip possible." I learned a lot and hopefully can interest others in visiting Cuba with Ya'lla Tours in the very near future." "I just heard back from Michell Turkington. They said everything was fantastic with Morocco. Thank you for your help with the quick turnaround, conference call with the client to help guide them, and multiple revisions on this last minute trip! Nice job… We’ll be back!!" "The Harvey's had their best trip ever [to Israel]. Their guide was great and they can't wait to go back again. Yalla Tours did a wonderful job. Thank you Yalla..."
"I met with Dr. Tom yesterday for an hour to discuss the recently completed Greek group with Ya'lla Tours. In summary he used a scale of 1 - 10 with 1 being very dissatisfied, 10 highly satisfied. Dr. Tom gave Ya'lla a 12! Tour Guide Juliette was EXCELLENT! Very friendly, professional, very accommodating to changes and suggestions. Juliette was very knowledgeable and seemed like she was "always" there with the group. I look forward to working with Ya'lla Tours to ALL your destinations!" "THANK YOU so much for your FANTASTIC work on our recent trip to Cuba! We had a FABULOUS time and enjoyed our accommodations and activities more than we could have hoped for! The food was fantastic. The hotel was generous and very comfortable, with a GORGEOUS sunrise over the water! Our bus driver, Rudolfo and tour guide, Laura were knowledgable, hospitable, and accommodating of our request – regardless of how crazy it was. …..We had a great time and look forward to returning to Cuba in the future." "I cannot begin to describe what a wonderful adventure we recently had in Cuba. As you know this is my third visit but, hands down, this particular trip was the best. From the guide, who was excellent, to the conversations we had,to the choice of hotels, to every meal, everything was superb, simply superb. Thank you again, for working with me to plan a very full itinerary for our group. Our days were long but very comprehensive and informative. We learned a great deal and that was our goal. On our last day in the country, we didn't want to leave. The hospitality was 5 stars and we would certainly recommend Ya'lla Tours to ANYONE wanting to visit Cuba, particularly colleges and universities. Thank you for your expertise and your professionalism." 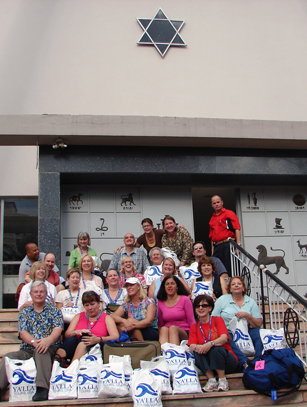 "We just returned from a fabulous adventure in Cuba planned and organized by Ronen Paldi of Ya'lla Tours USA. ...the itinerary, sightseeing by an outstanding English speaking guide and driver coupled with wonderful dining experiences in unique Paladares. Ya’lla Tours USA was able to deliver an experience which was one of our best travel experiences ever! Thank you." "For a long time I was hoping to include Cuba in my travel plans, and when a travel agent I met introduced me to Ya'lla Tours USA the dream started to become a reality. The itinerary was tailored to my interests, and every detail of traveling to a complicated place was handled thoroughly and professionally. I was very impressed with every aspect of how Ya'lla does business and look forward to working with them again in the future." "I truly thank all the Yalla Staff since thanks to you I could get to know the rest of my family that is in Cuba and I haven’t seen for over 30 years. Arianne, the tour guide, is a well experience young professional that knows very much her job and the history of the country. We were treated so warmly that we felt as part of her family! The driver Eduardo was a true professional expert, he knows well the roads and every part of the tour as well as Rogelio, the other driver, we received from all a very efficient treatment, thus all went so good that we cannot wait till next year to go back and get to see more of the country…"
"Oh MY GOODNESS!! It was absolutely FABULOUS!!!! Egypt is amazing…I haven’t stopped telling people about it…just ONE of those places you have got to go! The crew there was fantastic …both the Ya'lla folk and the tour guides. They were very professional, fun, kind…and so reliable! Can’t speak highly enough about our experience…"
"We just wanted to shoot you a quick email to sing your praises about our trip-- it was so wonderful. Laura was a great guide and Adolpho was a great driver-- both were easy to be with and were warm and friendly, as well as informative. Cuba is a very photogenic country and a country of paradoxes- it has to be experienced to be understood, so Austin and I thank you for the opportunity to get a great taste, smell, sight, audio, and feel for a very special place. We loved our trip." "In short, it was a fabulous trip. We all fell in love with Cuba and her people. Thank you for making this wonderful and memorable trip to Cuba possible for us. We all hope to return some day. I just spoke to my client, Sheldon Taback. He said the trip was absolutely fabulous, the gullet worked out great, great hotels and the way the itinerary was done was perfect." “… Had a great time. Really enjoyed Morocco…Guide was great….Moroccan people - Everyone encountered was very, very nice." "Cloyd and I thoroughly enjoyed our trip to Israel. Everything went smoothly even in spite of what was going on in the Gaza Strip. 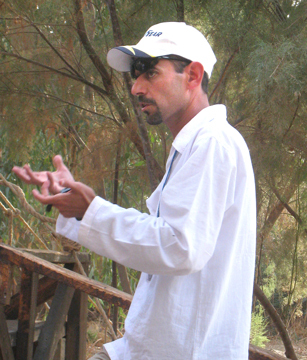 Our guide, Ze'ev Friedmann, kept us informed of the situation and we felt very safe throughout the trip. We wish to commend Ze'ev for the success of the journey. He is an outstanding guide and knows the country of Israel like the back of his hand. We learned so much and were blessed the entire time we were there. If you have any questions, please let us know. We recommend Ya'lla Tours highly." "Your Morocco staff is doing a wonderful job. You probably know that my customer twisted his ankle badly at the Marrakesh hotel, and everyone from the hotel manager to your reps have gone above and beyond to be certain they are comfortable. They are very impressed. And again, I am impressed with you and Ya'lla." "I appreciate all your effort and all the fantastic insight and guidance that your professional team provided in Israel, Jordan and Turkey, All of our guides were spectacular and a couple really stood out." 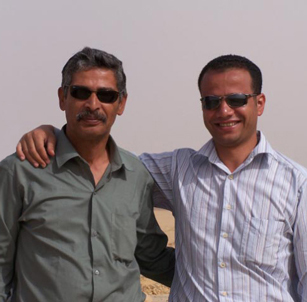 "We appreciate the help you gave us via email while in Egypt. And on a weekend no less! What a fabulous tour we had there. Our guides and drivers were stupendous. The rich culture and History of the country was brought to life by our guides, Essam and Ramey. Class acts! Our safety was a priority. We will give your company a high rec to anyone! Thank you." "You did an amazing job and you make me look so good to my clients..."
"The Compton/Crown party got back last week. They had a great time. Thank you for your help. It was a comforting thought knowing once they hit Santorini, you had taken care of them. I never worry when you are onboard with my bookings." "I wish to offer my (very) belated thank you for the wonderful trip to Morocco you assembled for me last year. It could not have been more successful, due in large part to the excellent personnel you assembled to help me, guide me and transport me..."
"It's hard to settle in at home after the trip of a lifetime, which is what all seven of us agreed our Turkey adventure was. Our week in Istanbul and driving down the coast was just glorious. Our guide, Orhan Sezener, was absolutely fabulous, and we loved our excellent and cheerful driver too. We had the right amount of time, Orhan gave us so much information in the most interesting and lively way, and of course the country and its sights are amazing." "I have had the pleasure to work with Teri on several occasions, and I want you to know she is really about the best there is in the industry. I have been around for over 30yrs, and have dealt with plenty of agents. She is by far the most knowledgeable, straightforward, efficient and absolutely the top of the tier on every aspect. Thanks for such great service from her and Yalla as well." "I just returned from Israel – I want to say THANKYOU for your hard work and everything you laid out for us to see and do. You did an awesome bangup job. The trip was amazing and you took care of every little detail – the hotels were superb, nice and clean and all the trips were amazing. Again THANK YOU." "...everybody at Ya'lla was top notch. They made us all feel like VIPs...The level of service provided by the Ya'lla representatives was truly outstanding. Every detail was covered in moving us from location to location and without their assistance we would have had no clue how to navigate through Egypt. Our tour guide, Essam, was very knowledgable and helpful and by the end of the trip I felt as if he was part of our group. I had the time of my life..."
"Thank you all for the best trip in israel ever." "Again, thanks for your help repairing this trip. It turned out to be nothing like I thought but everything I hoped for. It was wonderfully exciting and exotic. Mohamed Menara was the most important part of this tour. He anticipated our questions, accommodated our requests, spoke good clearly understandable english. After many trips with many guides to many countries, he was exactly what any traveler needs and wants..a gem. After a very short time in his charge, we stopped worrying about details and paid attention to having fun." "We went to Israel and Jordan with Joe Claseman in February. This note is to let you know what a wonderful tour it was. Thanks for customizing our arrangements. Our guides were teriffic, Zvika in Israel and Ahmed in Jordan. We will always cherish our experience and your professional assistance was a big part of it." "We got back this past Friday from Egypt. We had an amazing trip. We can't say enough positive things about Yalla. Every representative was professional, knowledgeable, punctual, positive etc... We would not have been able to do all we did without them. A+++. All the sights were uncrowded and we felt lucky to see everything without a lot of people. There's definitely a sense of need since tourism is down so much- I hope things look up for Egypt in that aspect soon." "Our Moroccan visit was fantastic, beyond our wildest expectations. Ya'lla Tours thought of everything to maximize our experience. The tour guide and driver were extremely knowledgeable and friendly. The cities we visited, Casablanca, Rabat (! ), Fes, and Marrakesh (!!!) were magical. And the hotels and restaurants were beyond five star, especially La Maison Arabe. Probably our strongest memory will be of the Moroccan people who were so courteous, friendly, and funny too. Plus the incredible beauty of the buildings and gardens. We rated our trip as A++ and will definitely go back again." "Our trip to Jordan was one of a lifetime experience. Your tour provided and guaranteed that for us. We are so grateful for your commitment and support throughout our tour dates. The hotels and the tour schedule were just as I had expected and much more. Nothing was left to uncertainty. Your guide and driver were always there to accommodate us. I cannot praise them enough. These two individuals were extraordinary and so much more...I cannot say enough about them! We hope to return to Jordan someday, as it is a wonderful land." "I had gone with Yalla Tours for the first time in January of 2011 with my sister and her husband. It was wonderful and our guides, were knowledgeable and personable. So, I did it again in October and November. Five weeks of Egypt with both of those wonderful guides and the most peaceful and patient of drivers. Both Mena and Milad remembered how I liked to see the monuments and after showing me around a bit and discussing dates and dynasties, I was able to rearrange my schedule to my liking without any conflicts or problems. I never had any fear for my safety in Cairo or Luxor or Aswan. It really was a most wonderful trip that Yalla and I created for me. A tour company is the people who work for it and these are wonderful people." "We returned from a Ya'lla Tours organized trip to Egypt at the end of October. We had a great time, with no security concerns whatsoever. All of the staff and accommodations were excellent, particularly our guide in Cairo, Maha Hosny. While at the Egyptian Museum in Cairo, we ran into a group from a well known, very expensive tour operator. They had 20+ in their group w/one guide, while we had only 6 with our own driver, van and guide. Trip was excellent, and the cost was fair." "My clients the Morton Family – shore excursions Egypt, Turkey & Greece – were so impressed with your drivers and guides. They wanted me to tell you thank you!" "...we travel a lot and we are extremely impressed by the arrangements you made and will certainly use your agency again and recommend it to others..."
"I just spoke with Ed & Toni. They are SO ecstatic about YALLA. They said EVERYTHING has been first class, and they are SO pleased. So I just wanted to pass that along to you again. Big pat of the back for YALLA and all you personally recommended. They said their favorites were the Petra Kitchen & the balloon ride. SO HAPPY!!!" "ISTANBUL was wonderful! Our guide was excellent – above and beyond...We re-worked a few things – and that is what was wonderful about having a private guide – which I will highly recommend. It was just so nice to sit in a café and have Turkish tea or a coffee or a cold drink and not be rushed. To go to his favorite local spots, etc. Last evening rep. from YA’LLA called our hotel room to make certain we were happy with everything and to reconfirm our car and driver for the next day (they had also done this while we were in the van with our guide/driver) – this is a nice touch. Thank you once again, for all your hard work. It is always a pleasure to work with you." "Just to say thanks for a great trip. The six of us had a great time in Turkey. A wonderful guide and driver. The way to visit Turkey is by driving throught the country. Everybody loved the hot-air bolloon ride. All six of us would like to return to Turkey to visit the eastern side of Turkey. The young lady we had in Patmos for a guide was one of the best guides we have had on our trips. I will start working hard on our next trip to Israel and Jordan." "I just spoke to my client, Sheldon Taback. He said the trip was absolutely fabulous, the gullet worked out great, great hotels and the way the itinerary was done was perfect." "Thank you so much for helping me plan their trip and for all the detail and security that Ya'lla Tours provided for my clients." "...absolutely loved the tour guide, Moulay, his care, his interest and knowledge of his country and his gracious attitude..."
"I just wanted to tell you what a fabulous trip it was. The guides, the hotel, the driver, all were the best. I've taken 10 different tours and this one is the one to best." Just more positive reasons why I always call Ya'lla for any of the destinations you represent!!!" “We just want you to know how very pleased we were with the entire Ya'lla experience. It was so nice to be by ourselves with a guide, instead of being in a large tour group. We were able to avoid the crowds and ask questions. For us, the Ya'lla tour and our experiences in Egypt proved to be the highlight of our entire cruise. We want to thank you for providing such dependable and wonderful service.